Grateful for Charlie who, rather than simply giving me a gift I coveted, went a step beyond and asked the artist to personalize it for me. Gifts are certainly great, but the gift that keeps on giving, year after year, is really the thought that goes into it. The gift is merely a vessel that gently cradles the caring. Hey, it’s nearly gift-giving season. That’s pretty good advice! 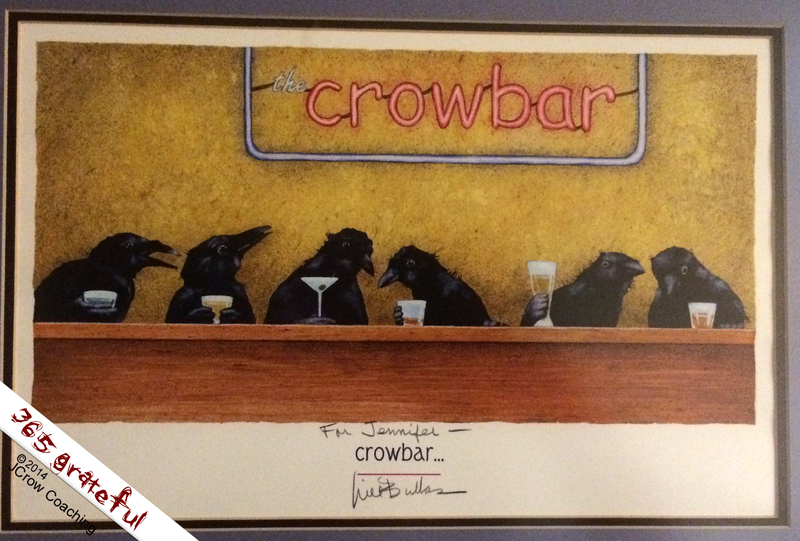 The photo is of the Crow Bar by Will Bullas. So punny!